Lock in a great price for Hallfreda Hotell – rated 9.2 by recent guests! The staff is very accommodating. The location is tranquil and beautiful because the setting is in the countryside surrounded by poppy fields and experimental agriculture. It was very comfortable, clean, and lovely surroundings. Beautiful place! The staff were wonderful and when they found out I'm vegan the staff brought in extra food for breakfast to accommodate me. We had a long journey through Scandinavia and this hotel was the best of all even more expensive. Stunning interior design, very friendly staff and just a wonderful place. I hope to come back here again one day. Special thanks to Kerstin for the care. It was an easy 14-minute-drive from the ferry, beautifully located in the middle of fields. 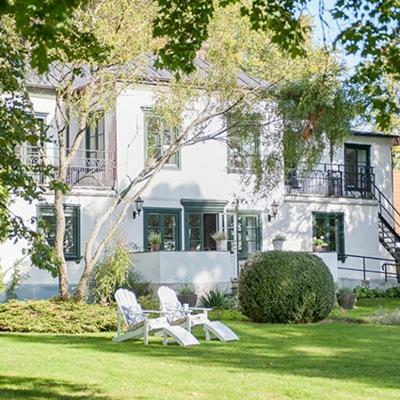 Very peaceful and elegant country manor with personal touch by the personnel. The interior was classic and stylish. Fantastisk personal. Mycket trevliga och fräscha rum. Matsalen så vacker. Lugn och lantlig omgivning. 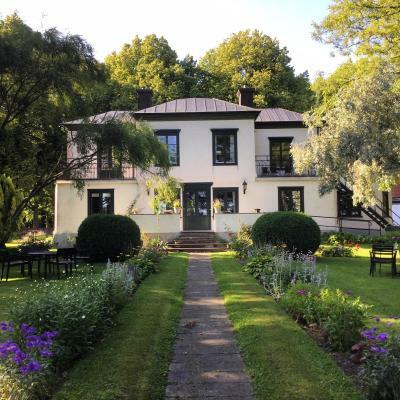 Nära till Visby (1mil) och bra läge att utgå ifrån när man ville resa i alla riktningar på de dagliga utflykterna. Vackert beläget, lantlig, villa 15-20 min med bil från Visby. Fina rum. Mkt trevlig personal. Dåliga sängar som både var för mjuka och gled isär, två enkelsängar som ställts bredvid varann. Frukosten mkt enkel. ngn mjuk kaka, färskpressad juice, scones el liknande skulle höja betyget betydligt. Helt fantastiskt ställe! Får fem stjärnor utan att tveka! 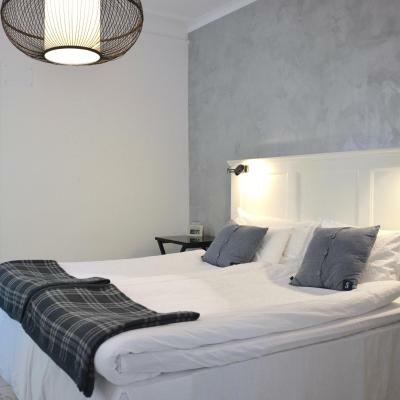 Quietly located 5.6 mi from central Visby, this stylish Gotland hotel provides free Wi-Fi, along with fresh and modern rooms. Guests can enjoy on-site bicycle rental and a furnished garden terrace. Each individually decorated Hallfreda Hotell room includes garden views, a flat-screen TV and contemporary bathroom with a shower. Some include a balcony and a well-equipped kitchenette. A breakfast buffet is served daily which can be enjoyed in the garden or communal breakfast room. The shared TV lounge has a DVD player, board games, plus magazines and books. Hallfreda’s summertime café and shop sells delicacies, Gotland sheepskin and home décor. Follingbo Bus Stop is 0.6 mi away with direct connections to Visby. 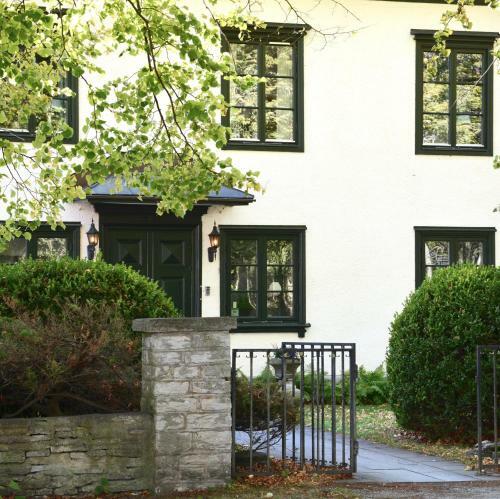 Kronholmen Golf Club is 30 minutes’ drive away, while Visby Airport is 7.5 mi from the hotel. Free private parking is available on site. This property also has one of the top-rated locations in Romakloster! Guests are happier about it compared to other properties in the area. When would you like to stay at Hallfreda Hotell? Fresh and modern room with a flat-screen TV and tiled bathroom with shower. Includes organic cotton bed linens and towels. This bright and modern room features a balcony, flat-screen TV and tiled bathroom with shower. Includes organic cotton bed linens and towels. Contemporary, bright room that includes with a seating area, flat-screen TV and tiled bathroom with shower. Includes organic cotton bed linens and towels. Children staying must be 15 or younger and are accommodated in a 47 in wide sofa bed. Bright and modern apartment that features a private furnished patio, seating area with a flat-screen TV, as well as a kitchenette with 2 cooking hobs, a microwave and fridge. House Rules Hallfreda Hotell takes special requests – add in the next step! One child under 3 years is charged SEK 125 per stay in a crib. One child from 3 to 15 years is charged SEK 200 per person per night in an extra bed. 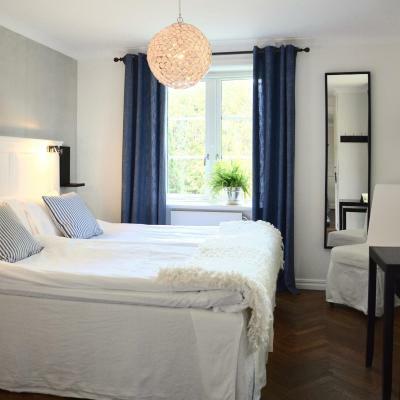 One older child or adult is charged SEK 350 per person per night in an extra bed. Hallfreda Hotell accepts these cards and reserves the right to temporarily hold an amount prior to arrival. Please inform Hallfreda Hotell of your expected arrival time in advance. You can use the Special Requests box when booking, or contact the property directly using the contact details in your confirmation. We thought breakfast could easily be improved with a few "upgrades" to what was available and in choice, for what we'd paid, especially as this is often what people look forward to taking time over and enjoying the most at a b&b. The Wifi wasn't very strong in our room, if we wanted stronger connection we had to move elsewhere in the property. The only word of caution I would offer is to remember that this location requires a car to get to town, restaurants and sights.